Julius Caesar always brings to mind the famous dictum of Winston Churchill, ‘History will be kind to me, for I shall write it!' 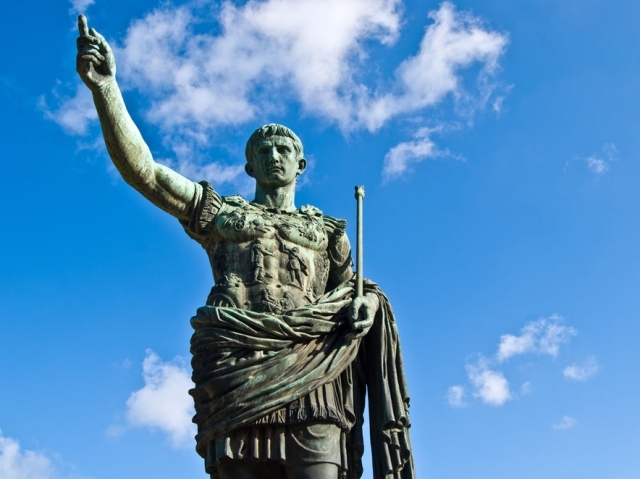 In his writings Julius Caesar provides a vivid and detailed account of his invasions of Britain in 55BC and 54BC which have passed into history as unvarnished truth, partly because we have few, if any, other written sources from the time. But just how accurate are they, and, despite Caesar's assertions, how successful were his two invasions of Britain? History texts often paint Britain at the time of Caesar as a blank canvas, off the edge of the world, but this is not really true. The Ancient Greeks knew of Britain as the ‘Tin Islands.' Herodotus, the Greek ‘father of history' wrote of trading with Britain in the fifth century BC. Pytheas, a Greek geographer, although his original text is lost, writing around 330BC describes a visit to, and exploration around, the coast of Britain from his home town of Marseilles. Diodorus Siculus, a Phoenician living in Sicily, writes about trading with Britain around 60BC. Iron Age hoards, like the one at Hallaton in Leicestershire, often contain coins from the Mediterranean world and beyond - all clear evidence that Britain was to a greater or lesser extent, integrated into the world of trade and commerce.